Conference South side Maidenhead United have signed former Birmingham, Leicester and QPR striker DJ Campbell. 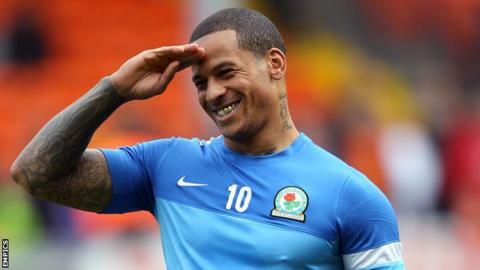 The 32-year-old played a total of 16 games in the Championship last season for Blackburn and Millwall. He started his career in non-league football before moving to Brentford from Yeading in 2005, and has commanded total transfer fees of more than £3m. The former Premier League striker goes straight into the squad for Saturday's FA Cup clash against Faversham Town. Campbell was released by Blackburn in the summer.